The fragrance of this soap is…complicated. 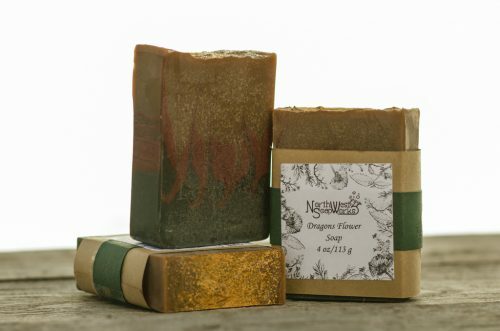 There’s a woodsy base like patchouli and musk with middle notes of amber and myrrh with floral top notes like rose. Both beautiful and manly it could be a favorite for either men or women. This 3 butter soap has mango butter, shea butter, and cocoa butter in it to soothe dry skin and keep it from feeling tight.